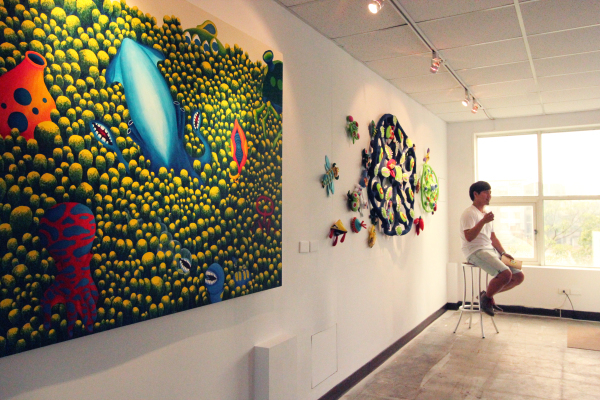 I am a young artist from Taiwan who not only has a great ambition and passion in art but also has lots of interests in exploring various materials to approach my artworks. 2018 – Beyond Studios NYC "Nature | Technology: PART ONE" Group Show, Brooklyn, NY. USA. 2018 – Wonder World Exhibition, Group Show, New York City, NY. USA. 2018 – National Sculpture Society, Brookgreen Garden," 85th Annual Awards Exhibition" Group Show, Murrells Inlet, SC. USA. 2018 – The Armory Show, de Sarthe Gallery “The Hidden Dimension ” Solo Show, New York City, NY. USA. 2018 – Storefront Gallery “James Hsieh” Solo Show, New York City, NY. USA. 2018 – Annmarie Sculpture Garden, Daugherty Gallery “Big Fun Art ” Group Show, Dowell, MD. USA. 2018 – Six Summit Gallery “Art Hearts Fashion Week” Group Show, New York City, NY. USA. 2018 – Untitled Space Gallery “One Year Of Resistance” Group Show, New York City, NY. USA. 2018 – Ground Floor Gallery “Distortion” Group Show, Brooklyn, NY. USA. 2017 – Lic Arts Open Gallery “Bad Santa’s Grotto” Group Show, Long Island City, NY. USA. 2017 – Greenpoint Gallery “People’s Choice Art Salon” Group Show, Brooklyn, NY. USA. 2017 – 76 Wooster St Gallery “Point off View” Group Show, New York City, NY. USA. 2017 – White Rabbit Gallery “Ritual Spirit” Group Show, Sydney, Australia. 2017 – Westbeth Gallery “Second Nature” Group Show, New York City, NY. USA. 2017 – Parsons 25 East Gallery “The Hidden Dimension” Group Show, New York City, NY. USA. 2016 – The New School Skybridge Art Space “Re/Collection” Group Show, New York City, NY. USA. 2016 – Parsons 25 East Gallery “Two by Two” Group Show, New York City, NY. USA. 2016 – Snow Xue Goa Showroom “Twist, Pinch and Tie-up” Group Show, New York City, NY. USA. 2013 – 789 Chicken Farm Gallery “a petit a” Group Show, Taoyuan, Taiwan. 2013 – Ping-Jen High School Library “Paradise” Solo Show, Taoyuan, Taiwan. 2013 – Traveler 1193 Renaissance Art Space “Dreamcatcher” Solo Show, Taoyuan, Taiwan. 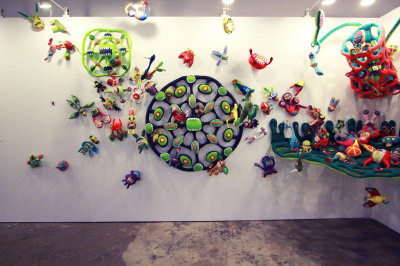 2013 – Songshan Cultural and Creative Park “Dreamcatcher” Group Show, Taipei, Taiwan. 2012 – Traveler 1193 Renaissance Art Space “Art Nouveau” Group Show, Taoyuan, Taiwan. 2012 –789 Chicken Farm Gallery “789 Chicken Farm” Group Show, Taoyuan, Taiwan. 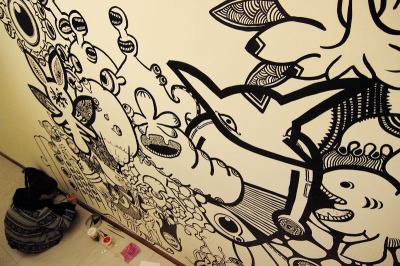 2012 – Yuan Ze Library “Exchanging Eyes” Group Show, Neili, Taiwan. I am dedicated to create a dream environment by approaching both sound and space and allowing the viewer to experience them in a sensorial way. 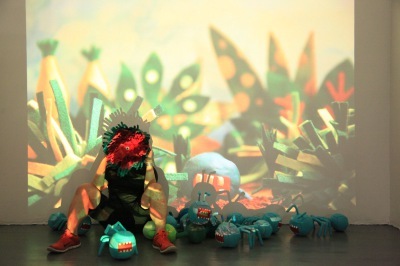 Moreover, I also approach stop-motion animation to transform my dream into visual narratives. Most of my works are inspired by the nature, such as flowers and plants. It is also connected to my childhood memories and grew up in the countryside, while I spent all of my times with my grandparent in their garden. I like to use playful and childlike ways to communicate with serious and adult subjects. Thus, I’m very interested in the contradictions between childlike qualities and the darkness behind it. Additionally, by transforming my studio into a dream place, I propose further for it to engage with reality. 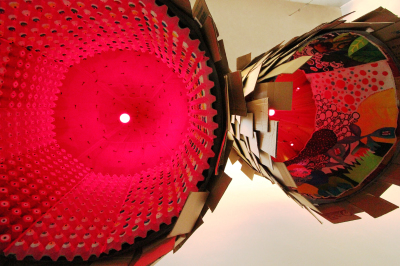 Through a wearable sculpture, I perform an exploration of the urban landscape in specific time and places, continuing these clashes between a surreal context and real life. In this piece, I try to express the loneliness and lost of myself while dreaming by presenting the emptiness of the bustling places in New York City to create a surreal contrast. Taking it further, I propose a performance to interact/engage with the public and explore more possibilities from its potential performativity.